There are more automatic motorcyles out there than you thought! So you want to buy a bike that doesn’t have the complication of gears but doesn’t force you to sacrifice your man card? It looks like you’re going to need an automatic motorcycle. It’s not a scooter, but it’s not a fully clutched machine either. So what exactly is it? How do you ride them? Who makes them? And which ones are the best? For the most part, most modern automatic bikes on a DCT system. Dual Clutch Transmission, or DCT to its friends, is a clever automatic transmission system that utilizes not one but two clutches. One clutch controls the even gears, while the other controls the odd gears. And it doesn’t require any clutch lever to be pulled, or any conventional manual gear shifting. It’s all controlled by onboard computers, leaving the rider free to concentrate on the ride. Automatic Transmissions: How Do You Ride Them? Motorcycles with automatic transmissions come in a variety of flavors but for the most part they are as simple to operate as you would imagine. Since power is delivered directly through an electric motor, all you have to do is twist the throttle and go. Thanks to the automatic transmission, there’s no need to work through gears or adjust gear to match the scenario, it’s as simple as “twist if you want to go faster.” There are certain nuances to riding motorcycles with automatic transmissions though. Firstly, your braking is going to be different. Some of these new bikes keep a conventional foot brake for the rear, but most have the rear brake on the handlebar where the clutch should be, just like a bicycle. And there’s engine braking; downward gear shifting on a conventional motorcycle allows for more controlled braking, which is lost with an automatic transmission. It’s a different ball game, but one worth playing. Or at the very least, one worth trying before you judge it too harshly. Who would want one of these clutch-less machines? Well, there are a number of people who would infinitely prefer a less complex gateway into the motorcycling community. It’s great for beginners to get used to two wheels. Commuters who just need to get from A to B who are less concerned about executing perfect gear changes and more about getting to work on time are also prime customers. And then there’s the long-haul tour bracket: people who want to munch a lot of miles without the stress of shifting gears. Now, DCT technology is not a new thing – and it has evolved into quite a cool system that allows riders to have a fully automatic experience, but with the possibility to manually change gears too, on some models. And you can opt for that choice – but the gear changing isn’t like it is on a fully manual motorcycle. It’s more like the paddle shifters you see on modern cars, so kind of pointless, really. Automatic Motorcycles: What’s On Offer? This is definitely NOT a scooter. 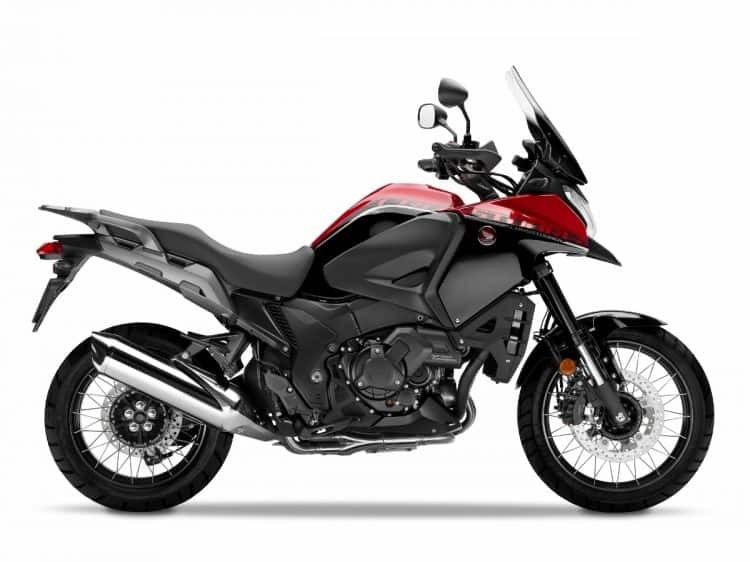 The Honda NC700X DCT may be an automatic motorcycle but it’s a very powerful machine that could compete in a drag race against the more conventional manual bikes in it’s class…and probably win. Boasting a liquid cool, two-cylinder 670cc engine that offers 51 horsepower and 45 lb – ft of torque. For the DCT version, riders have the option of going fully automatic or being able to control the gears via an upshift and downshift button mounted on the handlebars. It also comes with a variety of riding modes, including Neutral, Drive, and Sport modes and a rather fantastic Combined Anti-Lock Braking System (C-ABS) as standard equipment, to keep you upright at all times too. Overall, the bike is agile, stable, has a low center of gravity, and comes with enough mod-cons to keep things interesting. 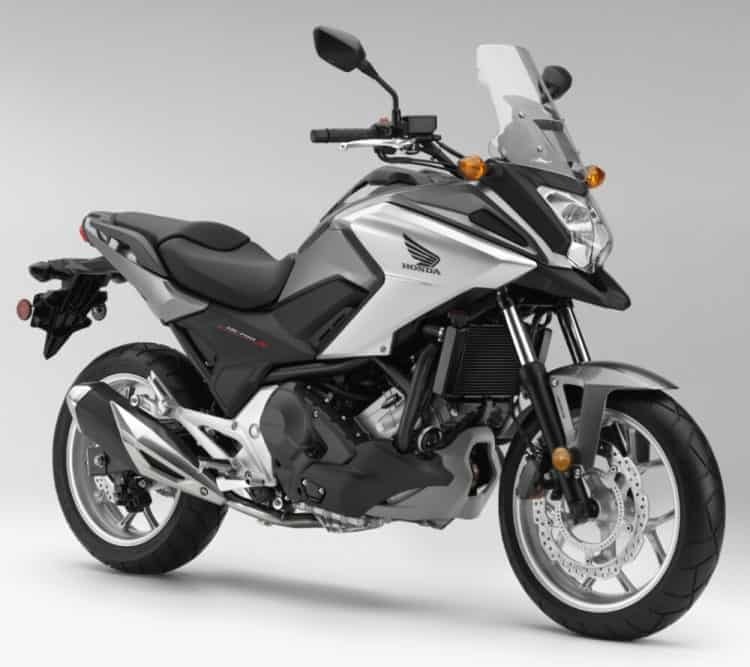 As far as learner bikes go, it’s probably not a bad choice considering that once you’ve mastered the automatic version, you’ll be familiar with the fully manual version which has the same layout save for a clutch and gear shifter. Prices start from $7,699 USD. 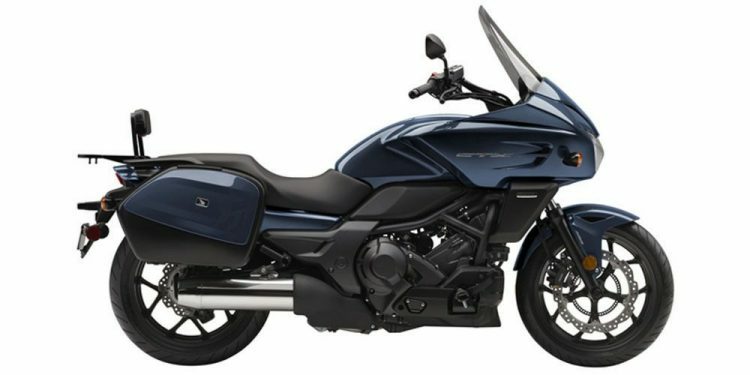 Performance wise, it’s exactly the same as the NC700X, but it offers a smoother and more comfortable ride experience. You can buy one of these for $8,299 USD and up. For the sake of breaking up the Honda show, we’ve got an Aprilia for you. And this automatic doesn’t rely on DCT. Instead, it uses Continuously Variable Transmission (CVT) instead. You can Google the difference yourself, because it’s a big deal (apparently). Basically, the cool thing about this Aprilia is the fact that it is an automatic motorcycle with a proper manual setting attached. 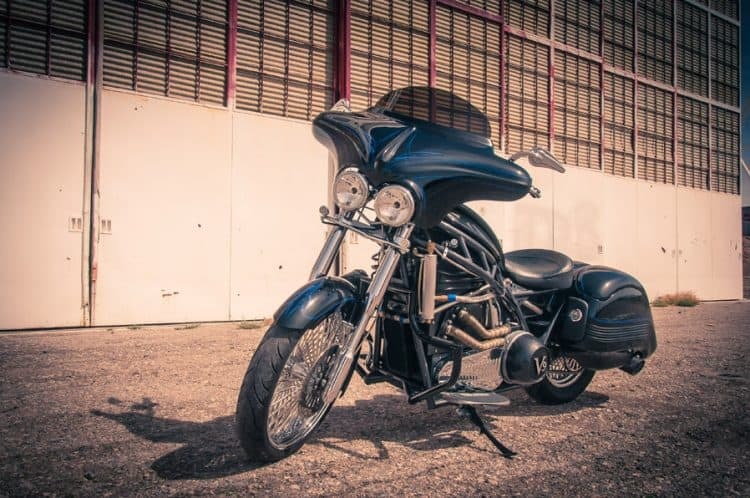 In essence, it’s an 839cc streetbike that you can simply “twist and go” on – but if you feel like it, you can clunk through the gears through its manual gearbox by upshifting or downshifting the gear lever, or by pushing the paddles on the handlebars. The 839cc V-twin engine comes with three distinct riding modes: Sport, Touring and Rain. The Sport option maximizes engine power, torque and engine braking. Touring is geared more towards economic riding and fuel efficiency by reducing power delivery and responsiveness in certain areas but without compromising the ride experience. The Rain mode reduces torque for better handling in inclement weather. Overall, it’s a great package for those who want to push themselves a little but don’t want the hassle of gears…but are open to the idea. 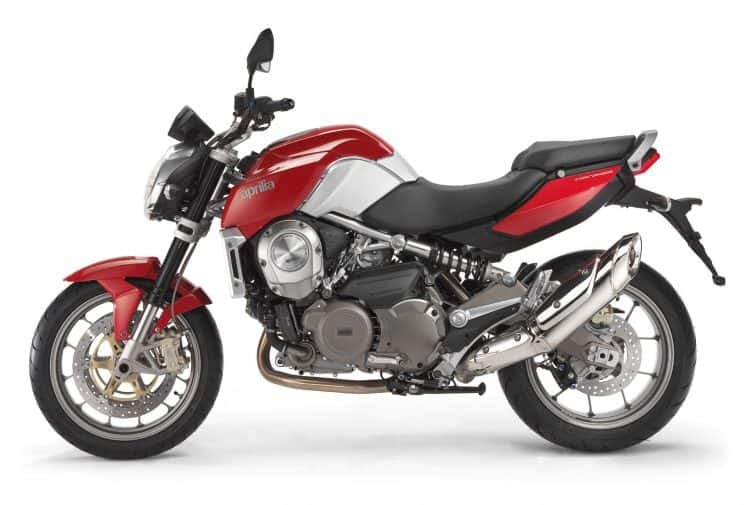 You can pick up an Aprilia Mana 850 for somewhere around the $11,199 marker. And then there was the Honda VFR1200 series. While the VFR1200F is also available with DCT, we’re going to look at the VFR1200X DCT, or CrossTourer as it’s sometimes known. This is a touring bike for a different kind of adventurer. At home in the dirt as well as on road, we’re looking at one of the most versatile automatic motorcycles on the market. If adventure sport touring looks appealing to you, but you don’t want to use a clutch then this is the machine for you. The CrossTourer is powered by a 1237cc V4engine that’s capable of pumping out 127 hp at 7,750 rpm and 93 lb-ft of torque at 6,500rpm. It’s not built for mega performance (although it will surprise you), but it is designed to be the right tool for a wide range of jobs. For many people, it might not have the “wow factor” on first glance, but when you take a closer look at the VFR1200X’s advanced chassis, or note the features in its electronics package (combined ABS and Traction Control, selectable torque control, adjustable ergonomics, etc) it’s definitely well worth a test ride. And as for the price? For the 2017 version, you can expect to pay around $15,999. 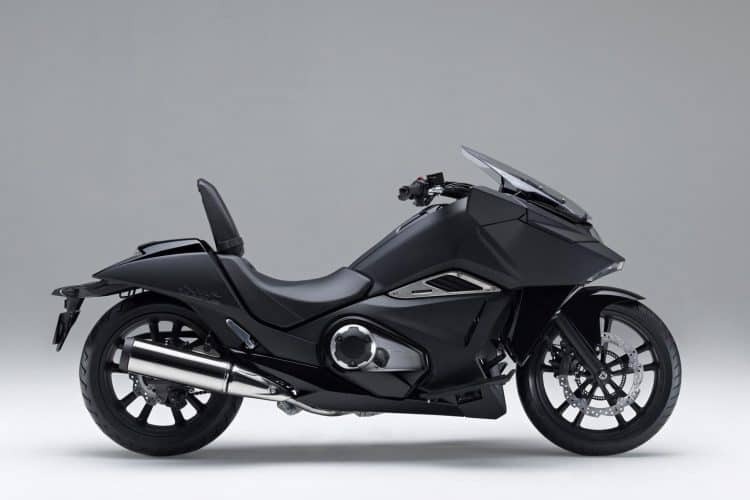 The Honda NM4 Vultus is kind of an unclassifiable anomaly. It’s not a conventional motorcycle by the design or shape, but it would be unfair to simply dismiss it as a maxi-scooter too. I mean, if you’re thinking of iconic motorcycles from the movies, you’d probably find the Akira bike somewhere near the top of the list – and that’s pretty much what this is. Apart from the fact that this is a real thing, and not just a drawing. It’s forward-thinking, futuristic, and a design marvel. And it’s automatic, too. Unlike a lot of automatic scooters, this isn’t a little 125cc job. Underneath the futuristic exterior, the NM4 Vultus is powered by a powerful liquid-cooled, 670cc, parallel twin motor that produces around 46.9 hp at 6,250 rpm, and 44 lb -ft of torque at 4,750 rpm. It’s not a bad deal, especially when combined the Dual Clutch Transmission, the intelligent ABS system. But there’s more to this automatic motorcycle than the engine and transmission…its also a very practical and comfortable ride too. Sitting low to the ground – a mere 25.6 inches, in fact – the rider can sit on a nice and comfy seat with an optional backrest that can be raised or lowered to accommodate a passenger, with three variable positions in between. On top of that, the NM4 Vultus also comes with loads of storage space for ultimate practicality, integrated LED lights, and an illuminated display. If you want one, you can expect to pay around $10,999 – that’s for the 2016 version. 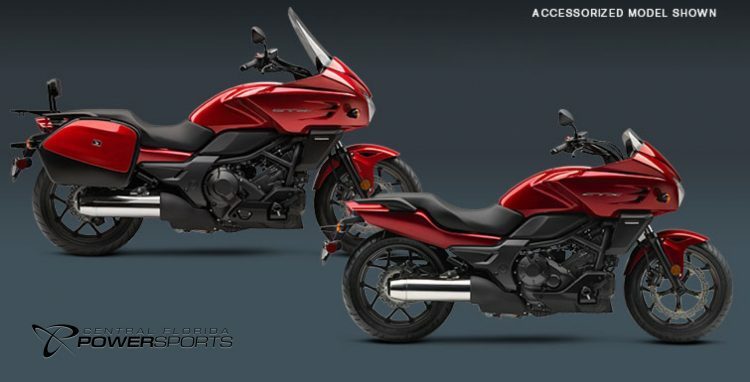 The prices for the 2018 are yet to be announced, and Honda skipped a 2017 model. What About An Electric Automatic Motorcycle? If you’re determined to give an automatic motorcycle ago, then why not buck the trend and swap gasoline for batteries, and give in to the green revolution? 90% of all electric bikes are actually automatic motorcycles. Since their electric motors can deliver power directly to the wheel without having to go through a gearbox, you’re looking at seamless power delivery in a fully automatic sense. The Energica Ego is probably the most performance orientated electric motorcycle on the market at the moment. There are superior bikes, but most of them are race prototypes or far from practical rides. 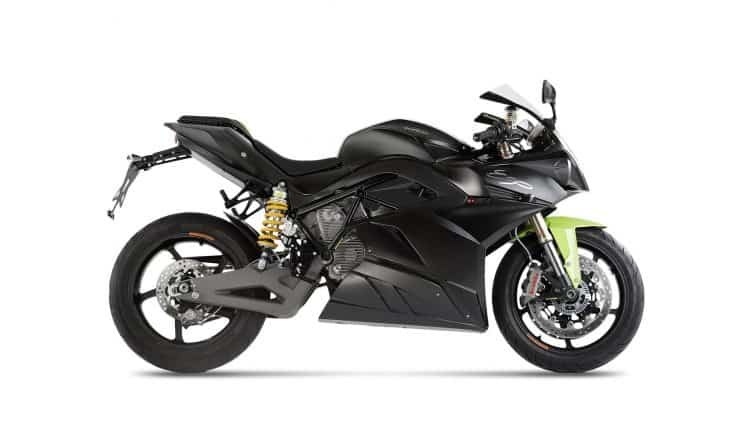 Designed by Le Mans and Formula 1 engineers, the Energica Ego boasts a fierce 136 horses of power, 143 lb – ft of torque, can hit 60 mph in 3 seconds, and comes with a top speed of 150 mph. All without a clutch…making it a genuine automatic motorcycle. It’s great on paper, but like all electric motorcycles, there’s a little problem called the battery life and range. That being said, the Energica Ego is pretty damn efficient. It can be charged in around 3 and a half hours, giving you a range of about 93 miles if you keep the speed at a constant 50 mph or so. It doesn’t sound very impressive, but if you’re honest with yourself, are you really going to be riding more than 93 miles at speeds over 50 mph often? Chances are, probably not. Not on two wheels anyway. And especially not if you’re looking for an automatic motorcycle. So it’s not a bad option. But then there’s the price. The Energica Ego will set you back around $35,000. Yeah. That much. 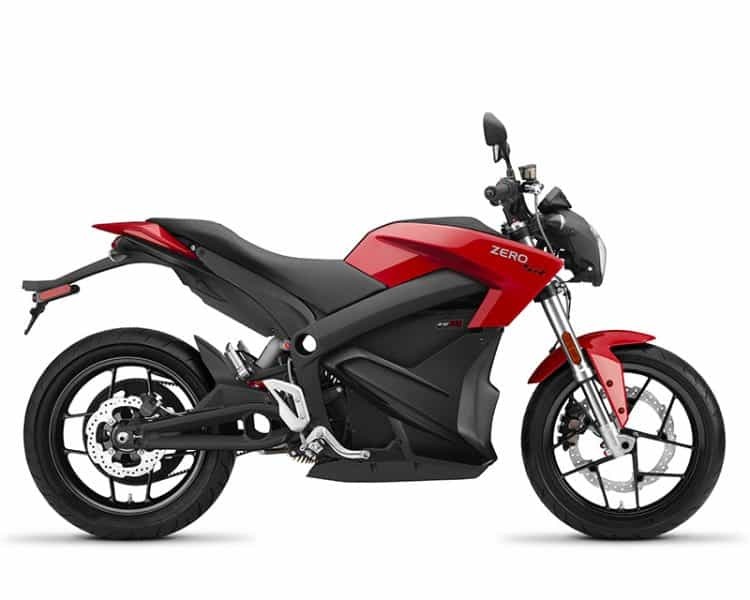 If you’re looking for something a little less aggressive that still looks and feels like a conventional motorcycle then the Zero SR is a nice choice. It’s not going to win prizes for performance, but it’s definitely a cheaper option that the aforementioned Energica offering. It has a smaller price tag, but it doesn’t make too many compromises in terms of its abilities. In terms of vital statistics, the Zero SR has a peak power figure of around 70 hp. It boasts 116 lb – ft of torque. The top speed has been clocked at the 102 mph marker. It can do 0 – 60 mph in 3.3 seconds. As for the range, it also promises a much nicer 122 miles per charge, depending on how much you’re giving it though. If you need to charge it, you can fill the battery up in about three hours depending on the quality of your charger. With that in mind, it’s actually a very practical bike that you could ride every day. It’s going to be economical, it’s going to be a blast to ride, and of course, it’s automatic. Not bad for a package that sells for between $15,995 – $18,669 USD. 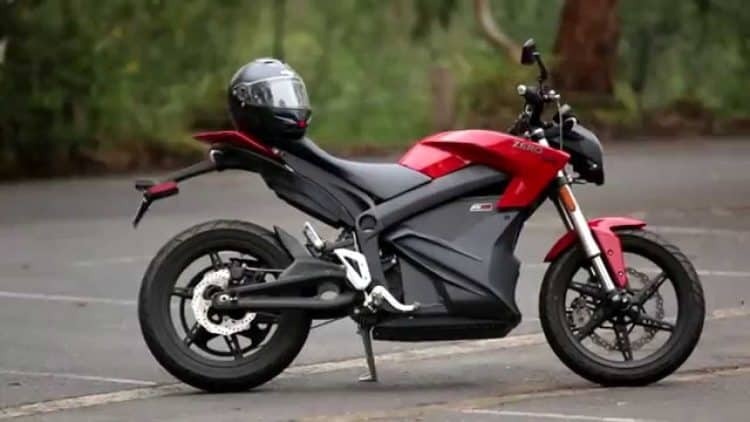 By now, you’ve probably realized that these electric automatic motorcycles are pretty expensive, and you’d be right. You’ve got to remember that we’re in a time of emerging technologies, and these things haven’t had the chance to come down in price yet. 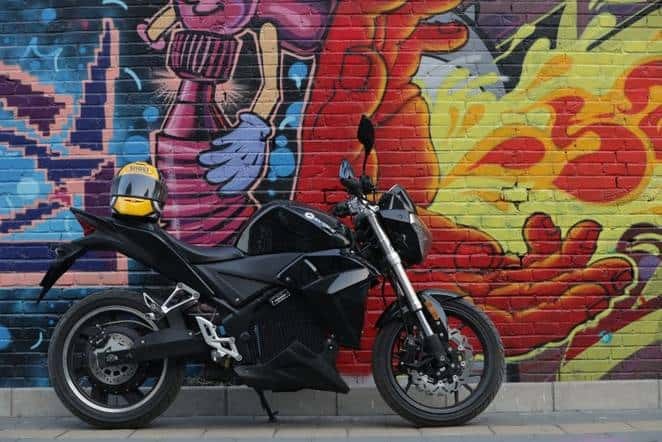 It’s not all doom and gloom though, because let us introduce you to the Evoke Urban S: “the first electric motorcycle truly designed for new riders,” and the first to come in under the $10k marker too. The designers at Evoke are insisting that no training is even required to ride one of these things. That’s not a clever thing to say, but we get where they’re coming from. They’re simple in their operation – though we recommend training for anyone thinking of riding on the road on or in anything. The Evoke Urban S is a fully automatic motorcycle, with the brakes mounted on the handlebars like a bicycle, and a simple twist and go throttle. The Evoke Urban S boasts a top speed of around 80 mph, can hit 0 – 30 mph (yes, thirty) in 2.5 seconds, and has a range of around 124 miles in urban environments or 75 miles for highway riding. If you invest in the Fast Charger, you can charge it to 80% in three hours, which is pretty handy. Evoke is a pretty new company, so if you want the 2017507 Urban S you can reserve one for a mere $200. You’ll have to pay the remaining $9,200 of the price when they arrive in the dealerships by mid-2017. “Effortless riding pleasure. No gears, no clutch, no kickstart. Confidence inspiring. Lightweight & Easy to ride. Clean & quiet. No fuel, no oil, no noise,” says the KTM Marketing Team. And it is all that. 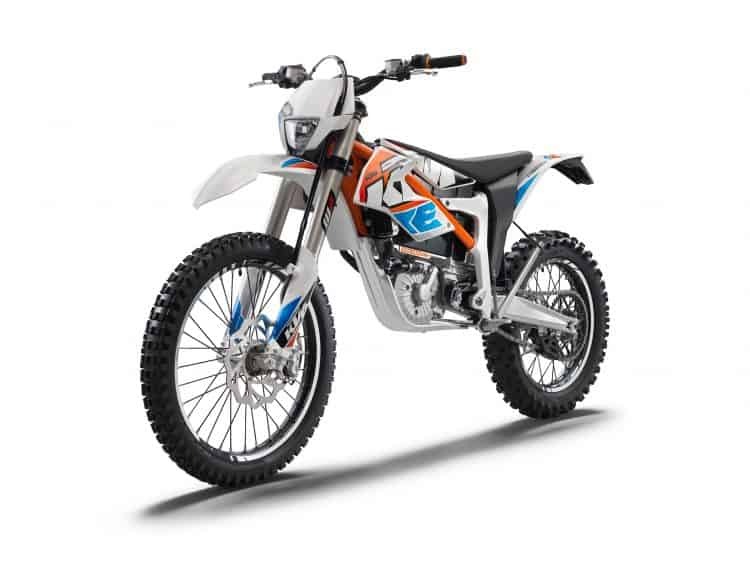 But before you get too attached to this little KTM, be warned: it does not have the same kind of range that the rest of these suggestions do. Though it’s a fully road legal, automatic motorcycle, you’re probably not going to be covering a hell of a lot of distance on one. So why have we bothered to include it? 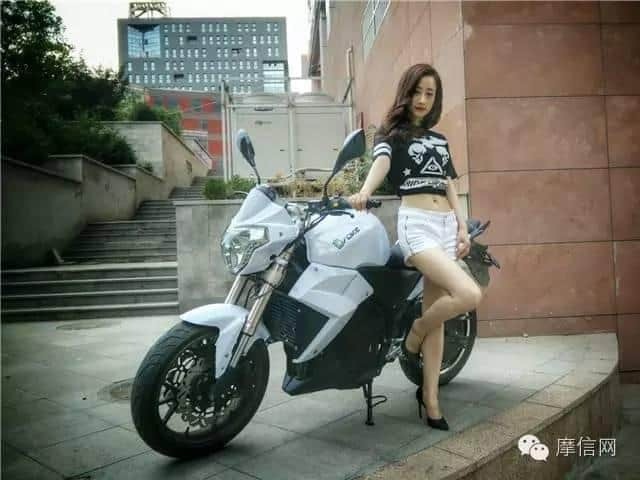 Simply because it’s actually a very cool automatic motorcycle. It’s great both on and off-road, it’s lightweight, fast, fun, it looks the part, and it’s mechanically sound. You could ride it to the bakery, you could ride it through a swamp. You name it, it’s got it: lights, indicators, mirrors, an immobilizer. It has a respectable power output of 22 hp, and boasts 31 lb-ft of torque. But you can only really ride it for about an hour and half before you drain the battery. In fact, if you’re riding it hard, you can probably only keep moving forward for about 30 minutes. But what if you want an electric automatic motorcycle but don’t want it to fit the shape of a superbike or an off-roader? Well here’s your answer: the Brutus V9. It’s an electric cruiser, and it’s completely flipped the stereotype of an electric AND automatic motorcycle on its head. At the moment, we’ve got the V9, but there’s also talk of a café racer coming in the near future too. It’s bold, vintage-looking, powerful, and fully automatic. It’s a new breed of American cruiser. It looks the part, but it’s also technologically sound. The electric motor kicks out 125 hp, 277 lb – ft of torque, and can reach a (restricted) top speed of 115 mph. And the range is pretty damn impressive too: if you’re just poodling around in the city you can expect around 280 miles of range, but even if you want to stretch its legs on the highway, you’re looking at around 165 miles between charges. That’s not bad for a motorcycle that weighs in at 784 lbs. It comes with a huge price tag though. If you want one of these, you’re going to have to splash out around $32,490 for the pleasure of riding one. So there you have it: a quick overview of what automatic motorcycles are currently out there. There’s more than you thought, right?